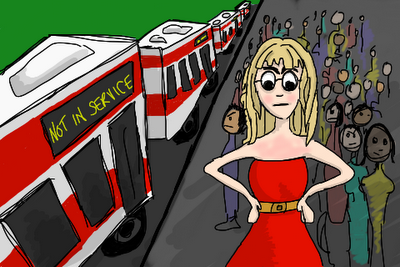 I'm going to let my picture speak for itself on expressing my feelings about TTC Shuttle Buses. I also drew this during my unexpectedly 2.5 hour commute this morning. Please notice that the TTC buses have no fronts. This is because I have never seen a TTC shuttle bus. They are a myth.